Appearance | Golden orange with white foamy head. Smell | Piney, citrus notes (tangerines and oranges), and grassy notes. Taste | Piney, citrus (tangerines and oranges), hops, and mild bitterness. Aftertaste | Lingering notes of citrus and hops. Overall | Nickel Brook, they can’t really go wrong with making such a refreshing beer. 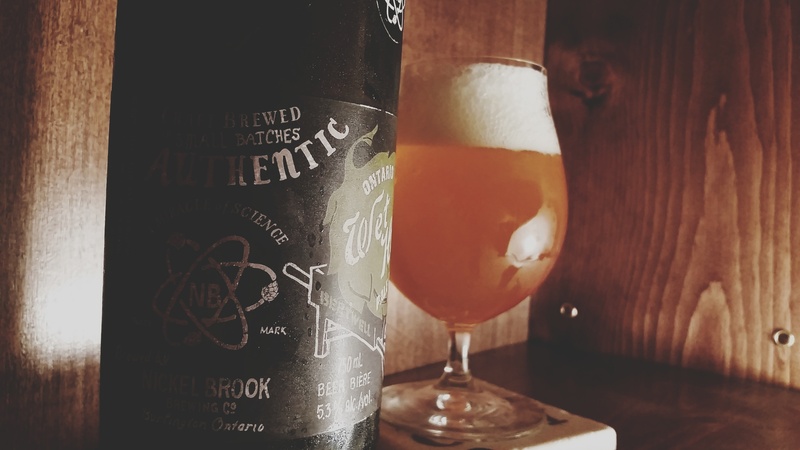 Nickel Brook brewed this beer with Ontario-grown hops and malts as stated in the description for this beer. Ryan Morrow (The Brewmaster) has done it again with another hit from Nickel Brook! It’s a light-medium ale that is refreshingly crisp and mild bitterness with aromas of goodness (pine resin, hops, tangerines and oranges). This is a seasonal ale available in the Autumn.